UAB Hospital Named Among Top Breast Centers in the U.S. The multidisciplinary UAB Breast Health Center provides a team approach with specialized expertise and compassionate care.University of Alabama at Birmingham Hospital has received a 2017 Women’s Choice Award for being one of America’s Best Breast Centers in the United States. This evidence-based designation was given to UAB based on robust criteria that consider female patient satisfaction and clinical excellence. The Women’s Choice Award is a referral source empowering women to make informed health care decisions by identifying the country’s best health care institutions. Its seal portrays a symbol of empowerment for all women and signifies the strength and power of today’s female consumer. According to the American Cancer Society, breast cancer is the second most common form of cancer among women. One in eight women will develop invasive breast cancer during her lifetime. In Alabama alone, 4,000 new cases will be diagnosed this year. Award winners must meet the high standards of the National Accreditation Program for Breast Centers from the American College of Surgeons, and also carry the Breast Imaging Center of Excellence seal from the American College of Radiology. In addition, the breast centers associated with a hospital, such as UAB, had to receive a rating in the top 75 percent for the Centers for Medicare and Medicaid Services’ patient recommendation measures, or their equivalent in the case of breast centers without hospital affiliation. The UAB Breast Health Center is part of the UAB Comprehensive Cancer Center, one of the nation’s leading cancer research and treatment centers, and is the only National Cancer Institute-designated comprehensive cancer center located in the four-state area that includes Alabama, Arkansas, Louisiana and Mississippi. “When women choose the UAB Breast Health Center, they can be confident in knowing that our physicians are nationally recognized experts in breast health and employ today’s leading-edge treatments,” Krontiras said. 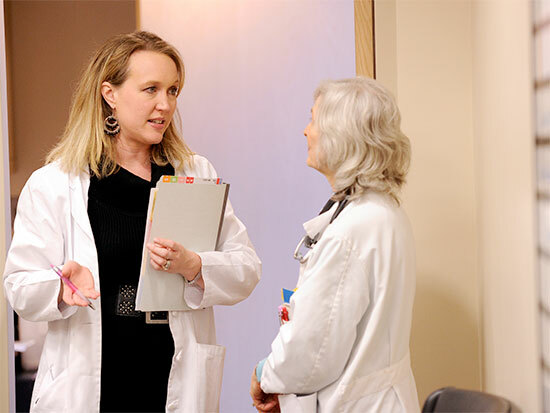 Located at The Kirklin Clinic of UAB Hospital, the breast health center takes a multidisciplinary approach providing the patient with a specialized medical team, including a medical oncologist, radiation oncologist and surgical oncologist, on the same day to discuss options and ask questions. Along with the expertise of the physician team, patient care is combined with nurse practitioners, navigators, social workers and a variety of other supportive services, including nutritional, genetic and fertility counseling, physical and massage therapy, and support programs for patients to meet other survivors. View the complete list of 2017 awardees.